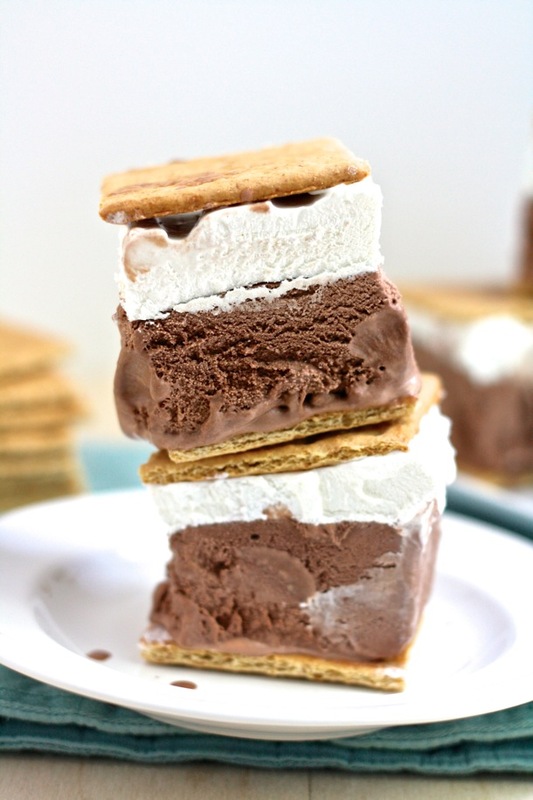 - Remove from freezer, add container of cool whip on top and smooth over with a spatula until evenly dispersed. - Remove from freezer and using a graham cracker, measure the size of the square that needs to be cut. Scoop out squares of ice cream/cool-whip mixture and place between two graham crackers. - Serve immediately or freeze.